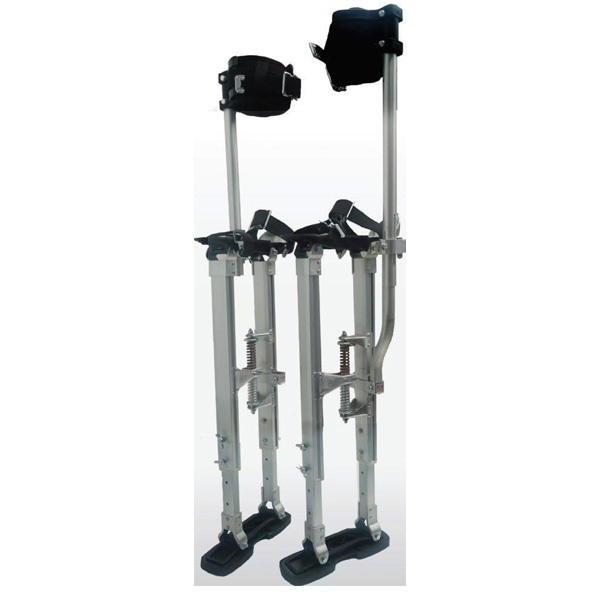 Quad Lock Stilts…The SAFEST Drywall Stilts Available! An additional wingbolt improves stability of the extension legs leading to extra safety and confidence through increased force resistance. New key lock design improves clamping force, reliability, and reduces wear. The side poles are locked into place eliminating unintended twisting. Improved wider arch strap offers increased stability. The angled attachment offers a more natural placement of the strap over the foot increasing overall comfort. Patented side bracket clamp houses the side pole, eliminates the risk of the side pole detaching from the main body of the stilt in use.